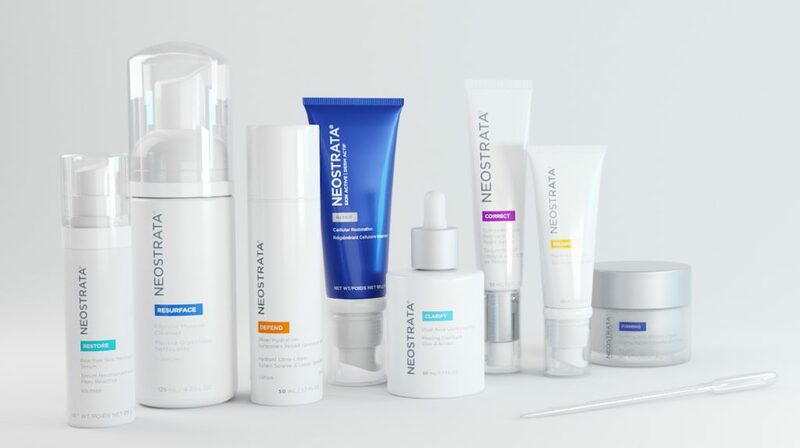 Since 1974, Neostrata Cosmeceuticals has been a pioneer in skin care and one of the first companies to focus on the benefits of exfoliation to the skin. In fact, Neostrata literally means “new skin”, which perfectly describes their belief that visible results come from renewing layers of the skin. NEOGLUCOSAMINE™: Only available from Neostrata, this non-acid amino sugar technology is a building block of skin’s natural filler hyaluronic acid and is an advanced molecule that gently exfoliates to reveal fresh new cells, diminishes the appearance of lines and wrinkles, and targets hyperpigmented spots and acne for a more even skin tone. AMINOFIL™: This revolutionary technology helps to reinforce the skin’s matrix to volumize, plump and firm skin for a more lifted appearance. 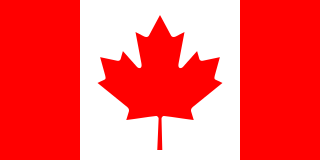 Neostrata’s comprehensive approach is two-fold: skin resurfacing and rejuvenation. Their products help to minimize the appearance of fine lines and wrinkles, visibly reduce the effects of sun damage, soften the skin, and provide more even tone and radiance. Neostrata Brightening Eye Cream: A powerful cream that blends together antioxidants, peptides, and algae extracts to target visible dark circles under the eyes. An anti-aging blend of Gluconolactone plus Bionic Acid targets skin’s natural hydrating matrix to cushion and brighten the appearance of dark, undereye skin. We especially love that this product includes Tetrahexyldecyl Ascorbate, a stable form of vitamin C. You know how much of a fan we are of this exceptional antioxidant ingredient! Neostrata Tri-Therapy Lifting Serum: This firming serum volumizes the look of slack skin with Aminofil, a patented amino acid derivative concentrated to target skin’s hydrating matrix for a more lifted appearance. LMW (low molecular weight) hyaluronic acid penetrates skin’s surface to attract moisture, providing hydration to visibly improve skin’s texture while Gluconolactone provides antiaging and gentle exfoliating benefits without sun sensitivity. 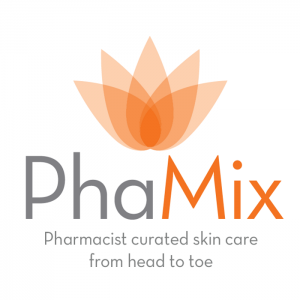 Discover more of Neostrata’s reformulated and refreshed products here at PhaMix.